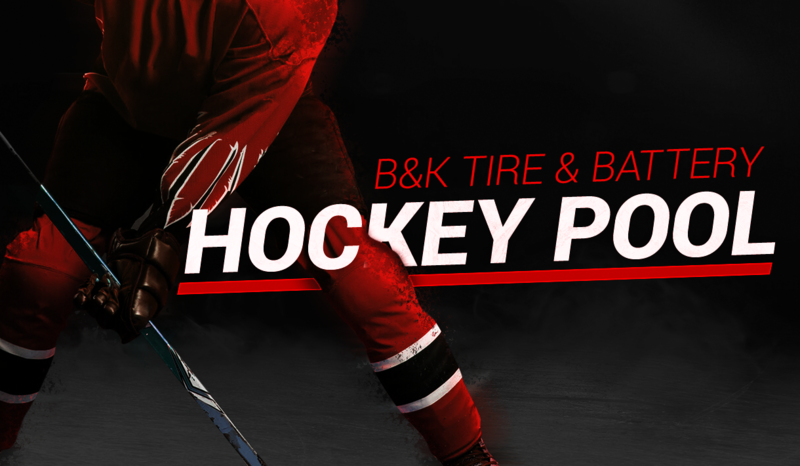 Play The B&K Tire Hockey Pool For Your Chance To Win Weekly Prizes! Last week to play The B&K TIRE & BATTERY HOCKEY POOL! You don’t have to be an all star to play, and you get a new chance to win each week! Congratulations to Rob Bamsey he has won the Grand Prize, a $500 gift certificate to B&K TIRE & BATTERY! Want to receive a weekly reminder to play?